- the image appears normal as before the call to Color Efex but with the application of the filter. 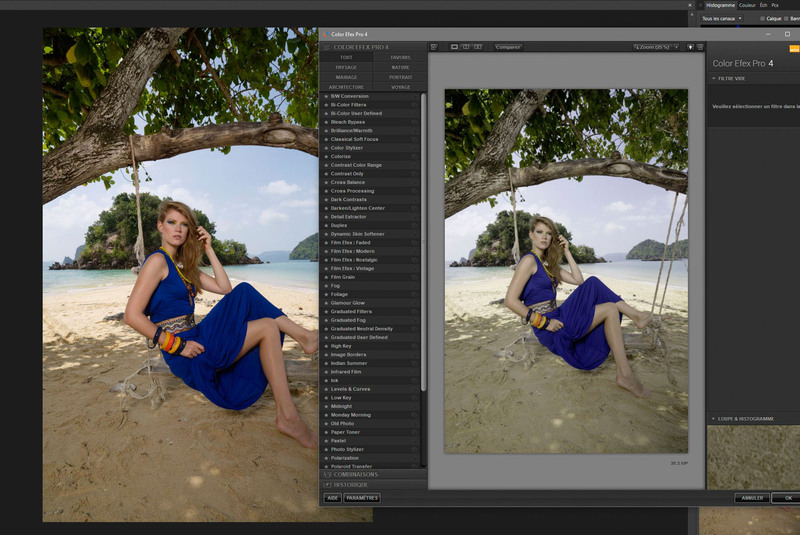 - the image appears normal in Color Efex, no desaturated, according to the Affinity Photo window. I think that there is a problem of color management in the passage of the image from Affinity Photo to Color Efex, but that in return, it is the original image that receives the application of the filter (passage of your very large 32-bit space into a smaller space, hence the desaturation). Obviously, this can be a problem since the corrections made on the filters depend on what we see in the Color Efex window! Normal, it must be feeded back ..